As I begin to think about spring and all that comes with it, I immediately think about new beginnings. The snow has melted, and tiny treasures are springing up, the birds are chirping and soon the butterflies will be floating about. 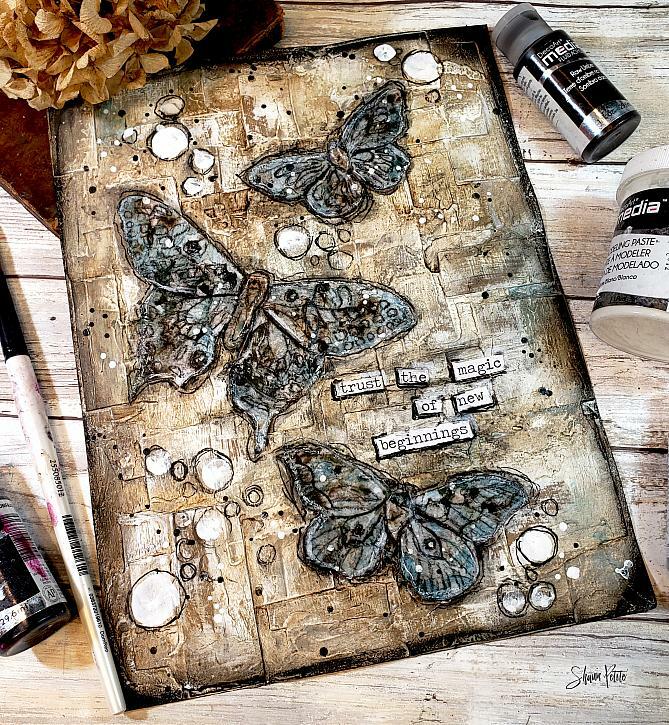 In today’s project, I show you how to make a fabulously textured background using heavy cardstock, chalky gesso and modeling paste and then we create our own rustic butterflies using tissue paper. I hope you enjoy the project and let’s create our own new beginning right now! Shawn, as always I love your techniques, choice of products (DecoArt of course) and focal images. I always enjoy watching you create such beautiful art. Thank you.